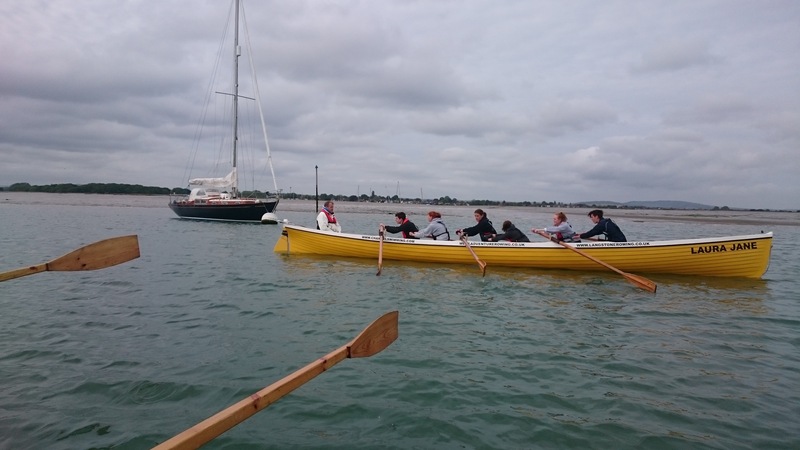 Mike Gilbert from Langstone Cutters Gig Club – For his training and belief that we can make this happen and the lease of a boat! Mark Beaumont – Local Entrepreneur and general planet mover! Andy Pace – local slipway owner who has been full of great advice and also drives a tractor! Marc Lovatt – our insurance broker who has been fab and by helpful! And finally thanks to the 53 members of the Facebook group so far who have got involved and come for a row! Good to go…the dream begins…. 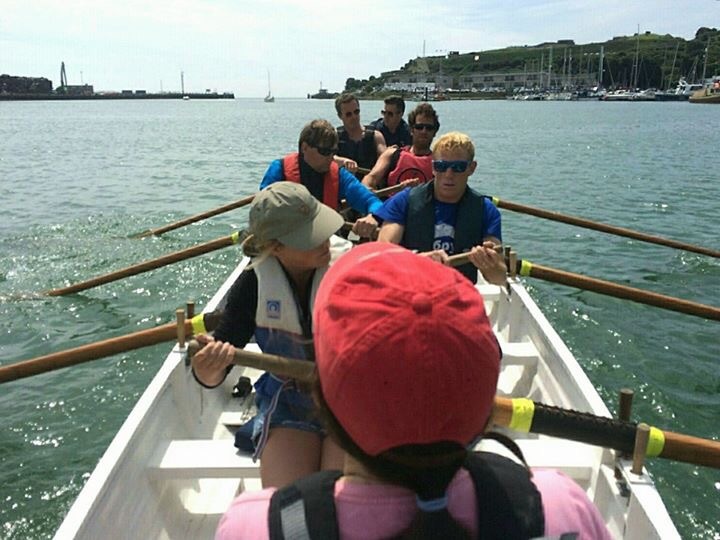 For the summer of 2016 we have brought 31ft Cornish Gig Laura Jane to Newhaven so that local people can learn to row, have fun and get fit. Great news. Getting a Cornish gig to Newhaven has been much quicker than we thought. Thanks to Mike Gilbert and the team at Langstone Gig Cutters Club in Portsmouth we will take delivery of Training Gig Laura Jane for the summer. The idea being that we can prove that this is a viable option for Newhaven and get trained and start the long awaited Cornish Gig scene in Sussex. When you put out you get back…. An amazing week of progress. By putting out the last blog we’ve managed to secure some amazing offers of help including a cox, a three month lease on a Cornish gig for use in Newhaven with all of the gear ready to go, training and a number of people coming forward who want to crew and give this a go. We have also managed to raise enough private investment to pay for the lease and insurance for the three months in exchange for a donation from the crew each time it goes out on the gig for cancer respite charity www.sail4cancer.org to provide days out on the water for famillies affected by cancer. Everyone is a winner.! I’m hoping our next piece of news is a date when the boat will be delivered to Newhaven and we can get out on the water. Watch this space…. Imagine it. A team of 8 rowers. In perfect time with each other. Rowing the 7 miles between Newhaven and Lewes and then back. In unison with the ebb and flow of the tide. Why not stop at Harveys Brewery in Lewes or then back to the Hope Inn at Newhaven for a quick refreshment on the way home. Or take the route south and row in Seaford Bay on a still summers evening watching the sun go down. Or even lets establish a yearly row across the channel from Newhaven Dieppe and see if we can give that LD Lines ferry a run for its money! Every day millions of gallons of water runs from the Sussex port of Newhaven to the county town of Lewes. This 7 mile stretch of water is hugely powerful but little used. Why not? Ouse Valley Watersports is in place to change that. For now its not a company but a movement. A few of interested in sustainable transport, making the local economy thrive again and repurposing Newhaven to give people a chance to be involved in what would be the most easterly cornish gig racing club in the UK. We’ve event set a date for our first Row with our a boat which is yet to exist. On we will have our first row up the river and hopefully out in Seaford Bay weather and tides permitting! We need to find people who want to join our motley crew. Pioneers looking to try something new and show that the river can support sustainable trade again! What can you do to help us to make this happen?